She is beautiful! Congratulations Grandma. 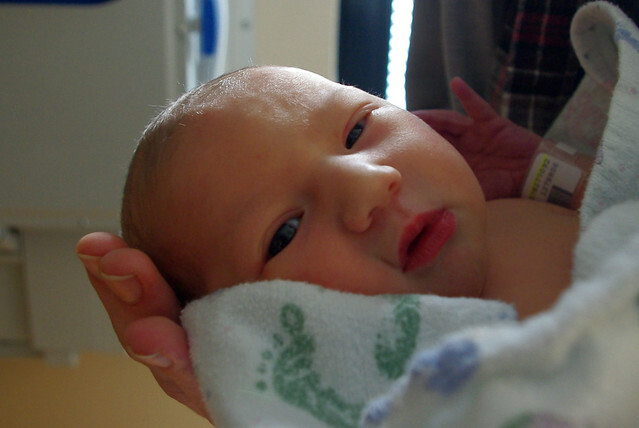 I love how a newborn can turn their head and look into your soul. Love the pictures - thank you for sharing her with us!